I like beer and babies. : Preggo my Eggo Update: 23 weeks down, 17 to go. Though I sincerely appreciate your attempt to make me feel validated while stuffing my face full of your chocolate goodness, I do not need for you to hide inspirational messages in my empty candy wrappers. I don't need to contemplate the meaning of "Discover yourself." when I am scarfing down my 3rd chocolate treat. You don't need to tell me to "Be free. Be happy. Be you." when I finish the 15th. I have "discovered" that "being me" involves inhaling a significant amount of your product. Let's just leave it at that. I have a few suggestions for your future wrappers. Take 'em or leave 'em, just make sure to send me a check when this awesomeness hits stores. A minute on the lips, a lifetime on your a$$. I know where Waldo is. Now contains 99% more cat. Sure, one is only 40 calories, but you have had 13. No no no no nonono. Scary messages are funny on bananas, but not on candy. I need my candy to be nice to me! Or, you know, indifferent. You are such a cute pregnant lady! 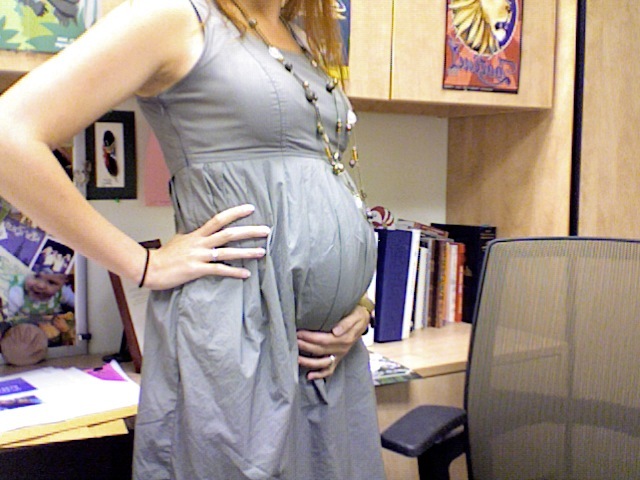 I seem to get pregnant all over and weigh 200lbs by the time I have the baby!